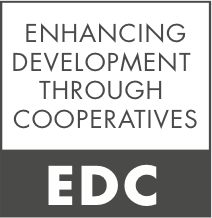 Research & Outreach for Improving the Governance of Agricultural Cooperatives in Uganda. The first Cooperative Research Seminar (CRS) was organized at FAO in Washington DC on March 12-13, 2013, in order to kick-start the EDC initiative. Two inception workshops held on September 11-13 at IFPRI-WCAO, Dakar-Senegal.